Are you a BIM master? Are you a BIM Master? Our platform is the place where you can find new opportunities to promote your BIM skills, discuss equipment details with real Manufacturers, and get other platform features. It’s absolutely FREE to start and grow! We are excited to announce that our platform is now supporting most of the commonly spread formats, including the formats from the following vendors: Autodesk Revit, Graphisoft Archicad, Trimble SketchUp and Nemetchek AllPlan. Now you can create products in our system by simply uploading your company’s fully completed product models in to the platform. Are you Manufacturer of the products or materials? Use this opportunity today and utilize all the functionalities we have to market and advertise your products using BIM (Building Information Modeling) technologies. 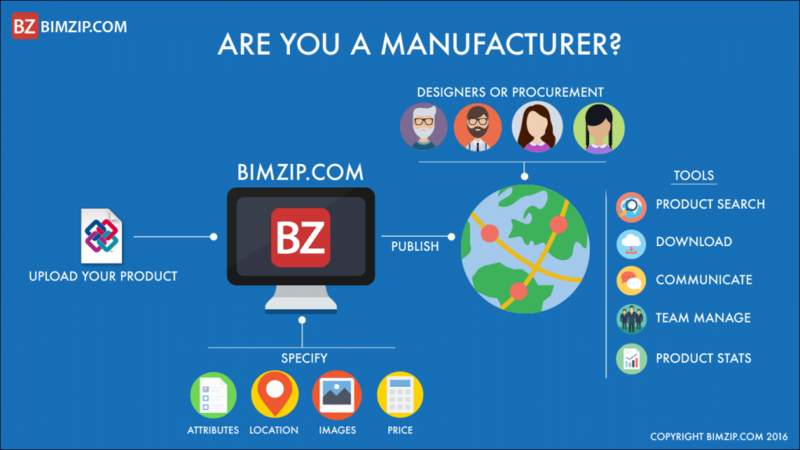 We’ve prepared a beautiful visual infographic of our platform features for manufacturers.